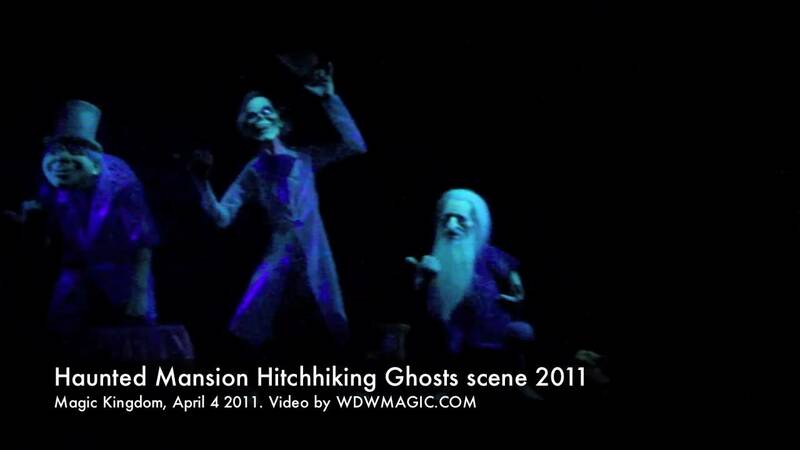 Sep 13, 2007 in "Haunted Mansion"
Right on schedule, Disney this morning reopened the Haunted Mansion at park opening. Walt Disney Imagineering did a fantastic job on this refurbishment, in a very short amount of time, ensuring the attraction is back open ready for the Halloween season. The whole of the exterior has been repainted and looks wonderful. A new red colored canopy has been installed over the queue line. The parlour room with the fireplace and changing portrait appears to be laregely the same as before. The stretch room is a MAJOR improvement. It is almost entirely new. The decor has been completely refreshed. The audio sounds terrific, it has deep bass, multi-positional sound. There are also new sound effects, including creaking as the room stretches, and sounds of bats flying around. There is also a piece of new dialog from Phantom Manor - "I didn't mean to frighten you, so prematurely...". Besides the great additions, the actual stretch room mechanism is now silent and very smooth, which really helps with the whole illusion. The load area has received a considerable amount of extra theming. The moving eye portraits are now in the load area. The carpeting is new, lots of great cobwebs hanging from the spooky looking light fixtures. There is also a new load console for the cast. A note on the Doombuggy, they now run silently, and no signs of any dropped audio. All the of the dialog is crisp and clear. There is a new window with lightning flashes on the left hand side, which are opposite the portrait gallery. As the lightning flashes, the portraits change. Its a great new scene. The new staircase scene is a very welcome new addition. There is a lot of detail here, and it is the kind of thing you need to see lots of times to take it all in. Exiting the staircase room, there is a corridor of eyes. 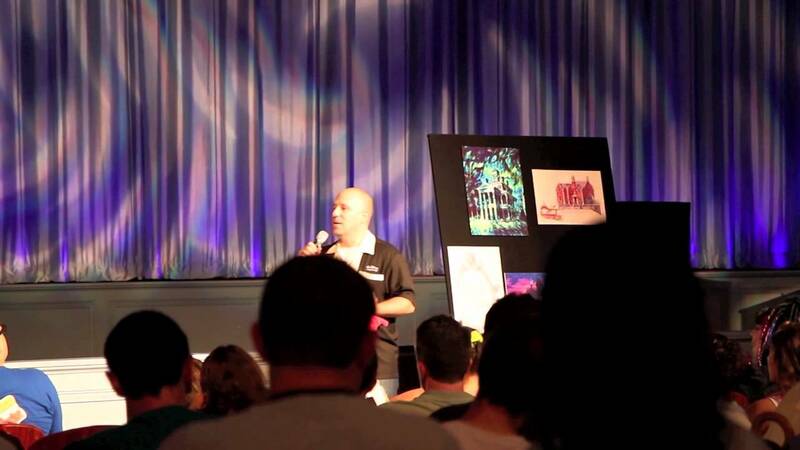 The séance room has the much talked about floating Leota head. It really is an amazing special effect, and has to be seen to be appreciated. Videos are not going to do this justice. In the ballroom, there are signs of cleanup and enhancements, but nothing significant. The attic has had the most attention. It's awesome. All the popup heads have gone from this scene, and been replaced with detailed sets, with portraits, and a sinister background sound track. The ghostly bride is excellent, and is genuinely spooky! The graveyard scene now has only 2 or 3 popup ghosts in total. They are used much more effectively, and they no longer scream. The rest of the scene seems unchanged, but has all been cleaned and restored. Little Leota looks new and refreshed. Overall it's a terrific update, and really restores the mansion to it's rightful status as one of the best attractions at Walt Disney World. WDI and the Disney cast did a terrific job of getting this done so quickly, and above all, to such a high quality level. Just a final word, you really need to see the attraction in person to appreciate it, photos and videos are not going to do this justice.